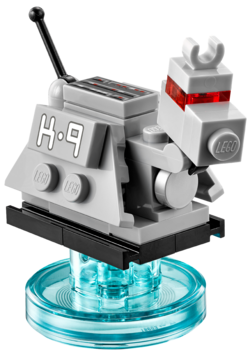 K9 is a brick-built Dimensions figure first appearing in 2015. K9 was originally created by a professor in the year 5000 as a substitute for his dog, which could not live in space. K9 was later gifted to the The Doctor during his fourth incarnation. Going through many models, it has traveled with him a great deal since. However, K9 now resides with the Doctor's former companion, Sarah Jane Smith. This page was last edited on 5 September 2016, at 05:33.